In Your Own Hands – Are Mindfulness Benefits Too Good to Be True? Are Mindfulness Benefits Too Good to Be True? Some are skeptical about the proclaimed health benefits of mindfulness including reduction of chronic pain and reduced blood pressure. Carole Carson minimizes that skepticism in this article. A recent study of people affected by chronic pain found that targeting feelings of mental defeat could prevent, or improve, negative side effects of chronic pain. Carolyn Gregorie explains that the “relaxation response” can be achieved by centering practices like yoga, prayer, meditation and deep breathing exercises. This state of mind can reduce anxiety, lower the heart rate and produce other significant health benefits. 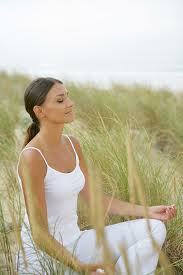 Robert Piper offers 10 reasons why everyone should begin practicing meditation. Many health benefits are among the reasons. People around the globe are beginning to see the benefits of meditation. Tanvi Nimkar speaks with many people on how they have seen improvements in their lives through meditation. After studying mindfulness for 20 years, Laurie Erdman has come up with five ways to practice mindfulness in order to reap the major health benefits.